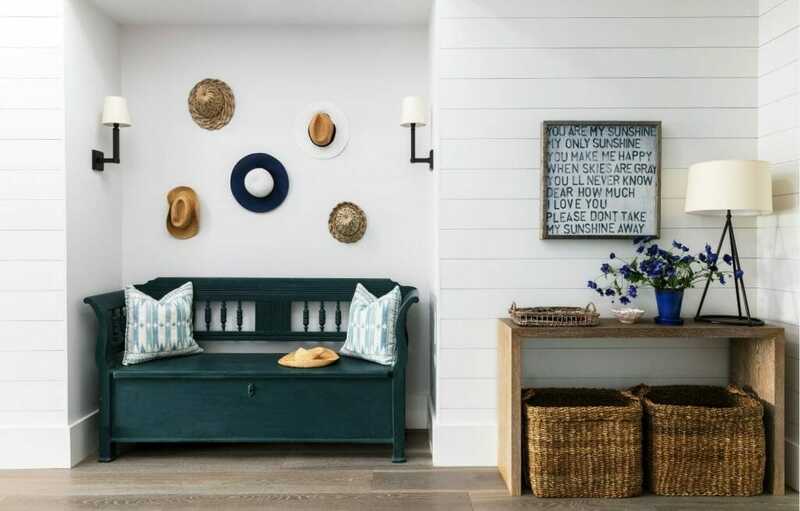 ‘Hallway decorating ideas’ seems like a post for people whose homes look like they belong on Pinterest, but they can successfully be incorporated into any home with a little bit of planning. Is a hallway considered a room? Technically, no. Should it receive the same attention that your living room and bedrooms get when it comes to home decor? If you want your house to feel like a home, the answer is definitely yes! On a floor plan, a hallway is considered a path and somewhat of a dead space that doesn’t require design attention. The most customization it usually receives includes using the same paint color as the rooms around it, maybe some photos, and a fire escape plan which depends on it heavily. It may seem like there are no possible hallway decorating ideas that would make your home look like those on Pinterest. 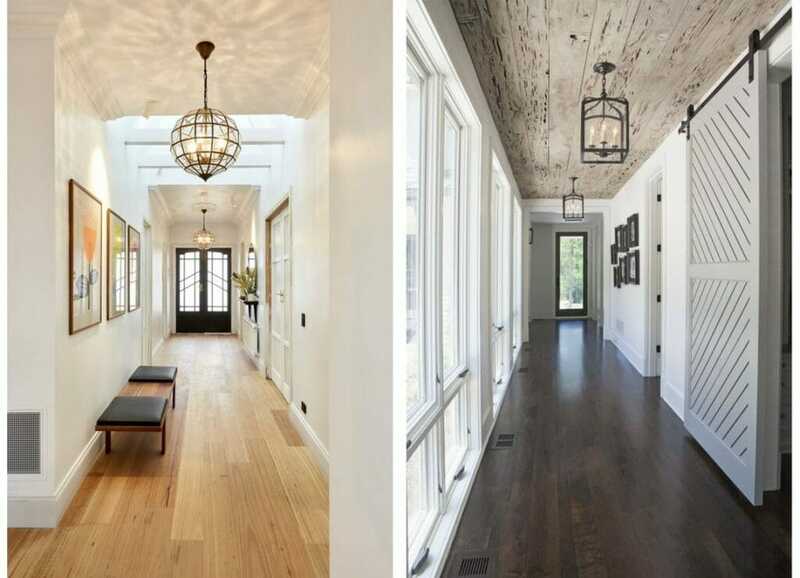 However, there are many ways that you can achieve the “home” look in your hallway. You can even make the space useful beyond only being the pathway that you use to get from room to room. Decorating small spaces can seem like the ultimate challenge, but it presents an opportunity for making the most with what you have. 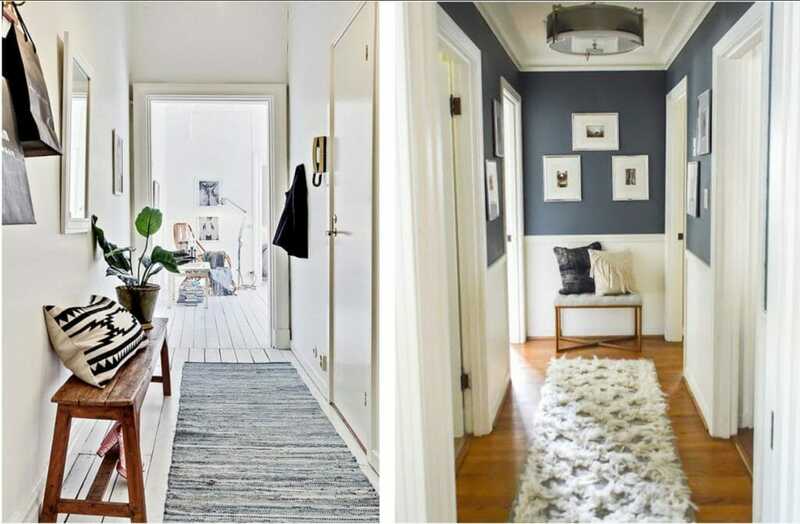 These 7 hallway decorating ideas will help you turn your empty corridors into warm and inviting transitional spaces within your home. A runner is a rug that is about 3 feet wide, and it is available in varying lengths. It is super skinny, yet super long, so it is perfect for the hallway area. Rugs are handy for floors that are very slippery in homes with young children who run happily through the hallways. 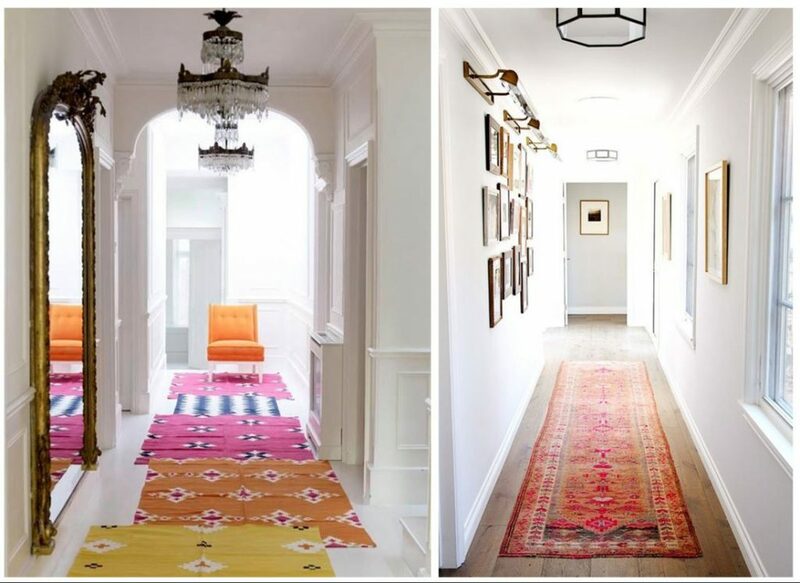 Runners can add a pop of color and design to an otherwise barren hallway. They add a sense of coziness since hallways are usually very stark and empty in comparison to the rest of the home. A runner is one of the easiest hallway furniture to accomplish. 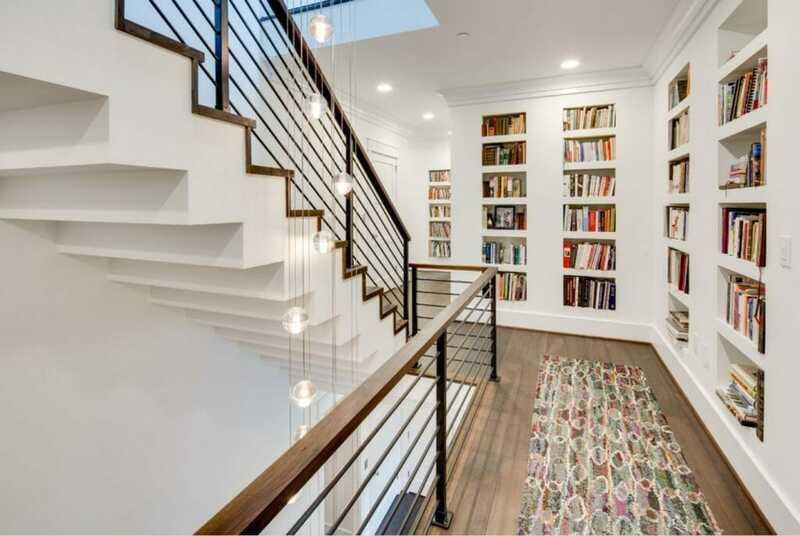 Turn your hallway into a library by installing bookshelf units to the walls. You can make the shelves the main focal point and let them span the entire wall for a dramatic effect. If space is very limited, you can create multipurpose by using shelves that are 3’ to 4’ tall. Fill the main shelves with you family’s favorite books. Show off family photos, artwork, decor, and heirlooms on top of the shelves and on the wall space above them. Multi-purposing a wide hallway into a library is a great space saving technique. It also really brings a hallway to life! Imagine yourself or your kids grabbing a book and getting cozy on the runner rug to read one of your favorite stories on a rainy day. 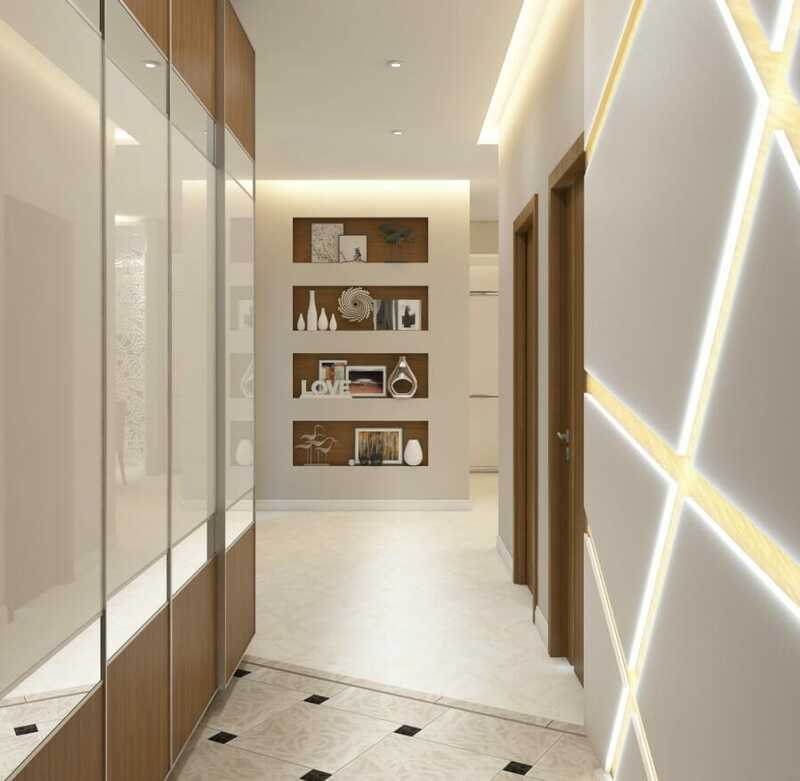 Design by Decorilla online interior designer, Luba K.
“Designing” a hallway is difficult due to the limited amount of space. Don’t be afraid to think outside of the box! Why not take one of the things that is really necessary in the hallway and give it designer appeal? Instead of a regular lighting fixture that goes unnoticed, choose a fixture that really stands out! Lanterns, barn house pendants, hand blown glass fixtures with vintage appeal, a decorative flush mount fixture, or glass globes. Think of any light fixture that you love for a nook or above a kitchen island, and it would likely be a perfect alternative lighting style for your hallway, too! Design by Decorilla online interior designer, MayKan C.
A sitting area in the hallway is the perfect way to make your hallway feel like less of a dead-end corridor. It can be purely decorative, but you’ll find yourself using it more as you make your way out of your room or as you finish preparing to leave the house. If you have a wide hallway, you can place a narrow and long bench against one of the walls. For a typical narrow hallway, a single person bench at the end of the hallways is more fitting. Placing hallway furniture at the end of a corridor opens up the opportunity to create a beautiful focal point, instead of staring at an empty wall was you walk down the hall. You can place artwork, a mirror, or a small shelf about the sitting area, and a basket or plants nearby. A throw pillow or two will make it cozy and cute. Adding a mirror to any room can create the illusion of a larger area. Mirrors brighten the space they’re in by reflecting the light from your amazing lighting fixtures or nearby windows. This is especially important for smaller, enclosed areas of your home. A mirror with a shelf placed beneath it can serve as a place to check yourself out before you leave your house. 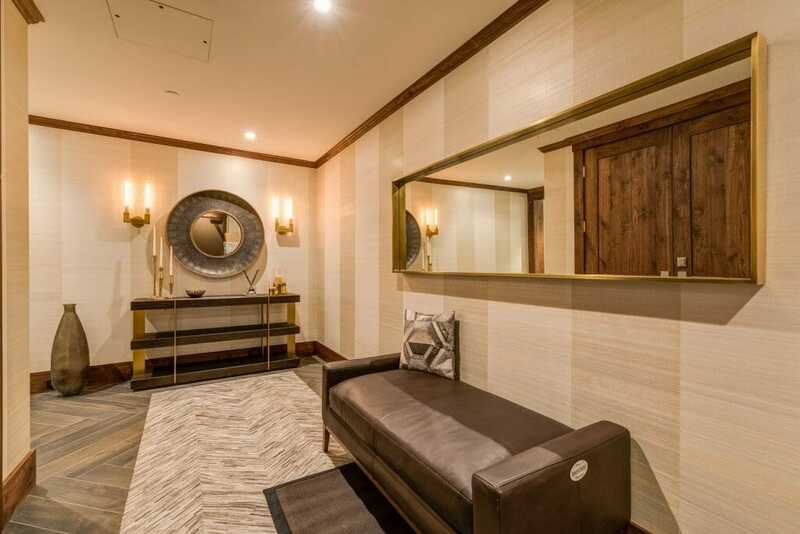 Seeing a mirror at the end of your hallway will make it a runway experience for everyone who walks the halls of your home. 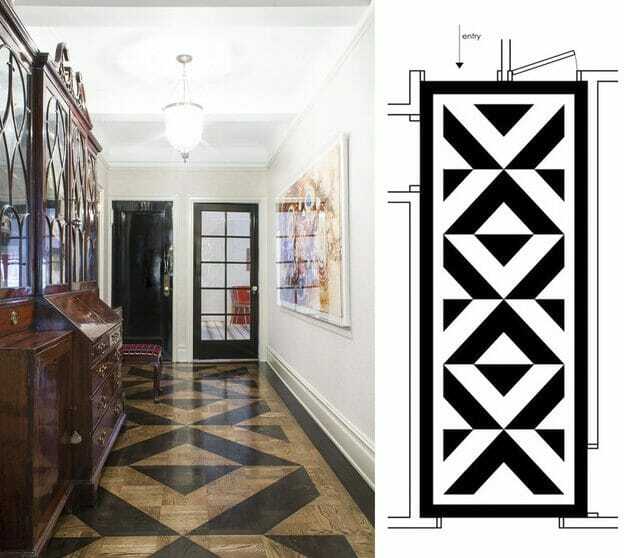 For a more permanent design solution in the hallway, trade a runner rug for a patterned floor design. An interesting floor design makes for a great conversation, and looks like you put a lot of thought into it. It is a creative solution that has a really big impact your home’s overall design aesthetic. 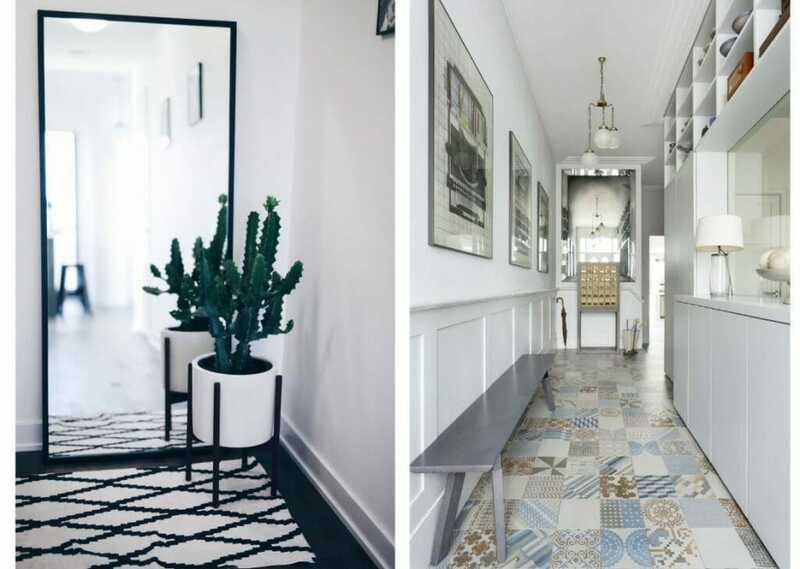 Hallway ideas like this take a huge amount of commitment, so it is imperative that your patterned floor hallway is a timeless look that coordinates well with your entire home, and that can work well with all of the decor changes that you will make over the years. 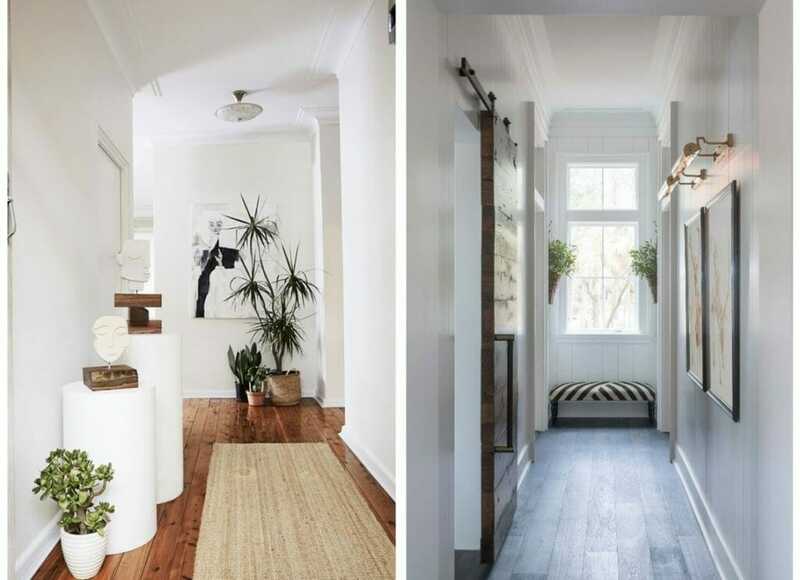 You can add plants to your hallway in several different ways. Bringing the outside in doesn’t have to be limited to your most HGTV-inspired shelf or surface. Air plants, a tree, plants on shelves, or plants on a bench make great hallway greenery. The simpler the plant is to care for, the better. Aloe vera, spider plants, snake plants, philodendron, parlor palm, and ficus trees all make for easy house plants. Faux plants that you keep spruced up will work, as well. Hallways are tricky spaces to design because their limited space doesn’t leave room for much imagination. If you are able to see past the lack of space, these 7 hallway decorating tips should help you tremendously. If not, Decorilla is the design tool you need! Start a project with one of Decorilla’s top interior designers today to achieve the designer hallway of your dreams!